Small bars are a blessing to Adelaide as they’ve made the city more vibrant and given people more things to do. Located down the cosmopolitan Melbourne Street in North Adelaide is Spot & Co, an exciting new whisky and cocktail lounge. It replaces the former Whisper Adult Boutique store and has moved from stimulating G-spots to being the “spot” to be. Spot & Co is an elegant small bar and has been designed as a space that people would feel comfortable in. They also offer quality food in the form of tapas, pizzas, antipasto, oysters and dessert. Their beverage list is also nothing to sneeze at with whiskey, gins, tequilas, rums, vodkas, wines, craft beers, and ciders, all specifically chosen to complement the old school and contemporary vibe of the bar. 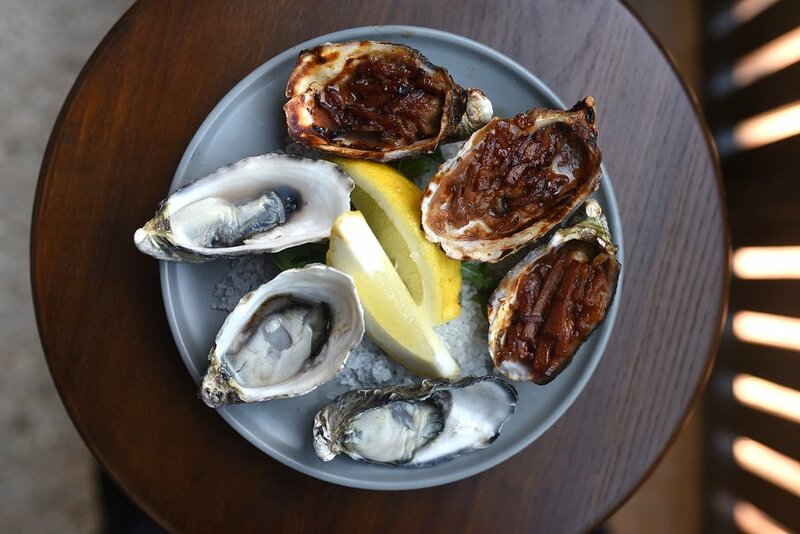 We start off with the combination of Natural and Kilpatrick Oysters. The natural oysters were fresh with a smooth, silky texture, and had the distinct aroma of the sea. The Kilpatrick Oysters had the perfect blend of bacon, barbecue and Worcestershire sauce. The oysters retained their juiciness, while the saltiness of the bacon was balanced by the sweetness of the barbecue sauce. 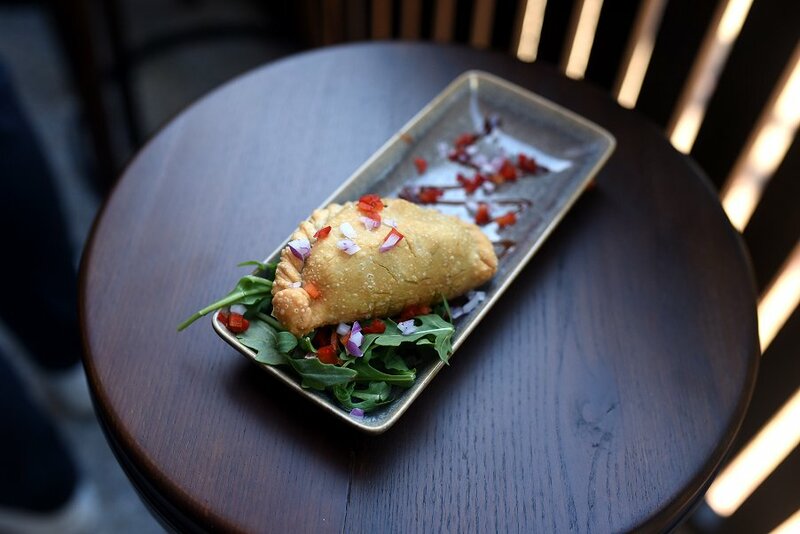 The Vegetarian Empanada looked absolutely delicious and was generously sized. Inside the lightly golden brown pastry were soft, delicate, well seasoned beans. The cocktail list at Spot & Co is not huge, but for what they do, they do it well. 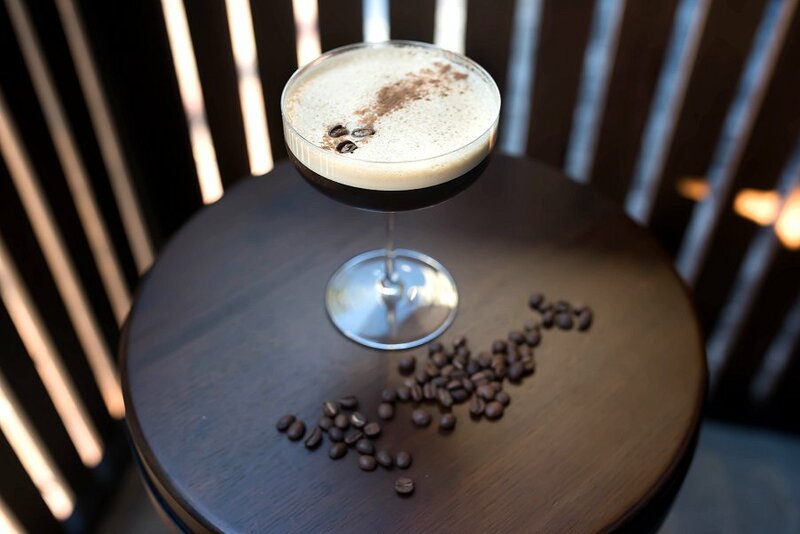 Their Espresso Martini is a great example with coffee made with their own blend. A delicious drink that will complement their dessert options. Spot & Co is taking small bars to the next level. 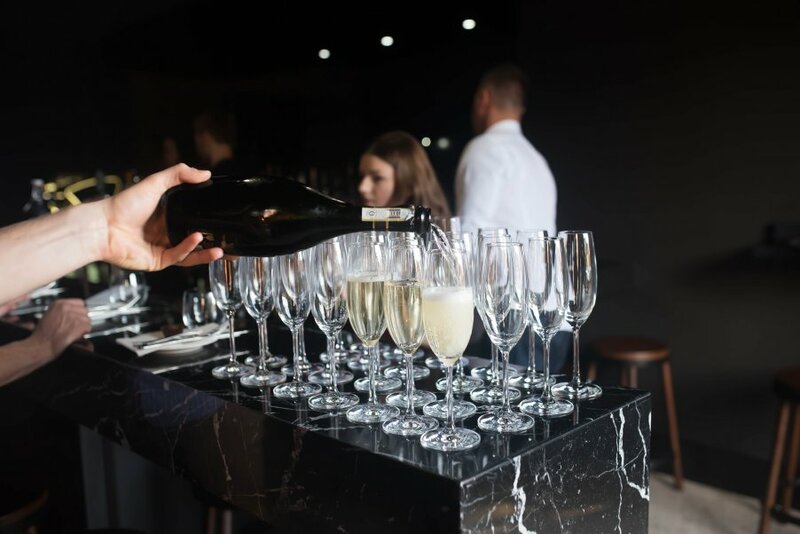 With friendly and welcoming staff, great service, quality food and beverages, and relaxing surrounds, you won’t want to go anywhere else on Melbourne Street. Adelaide Food Central would like to thank the staff at Spot & Co for their hospitality, and Cassie Young PR for hosting another fantastic event. Get onto Spot & Co! It’s the only spot to be!